Home » » Bobrisky makes Nollywood appearance. 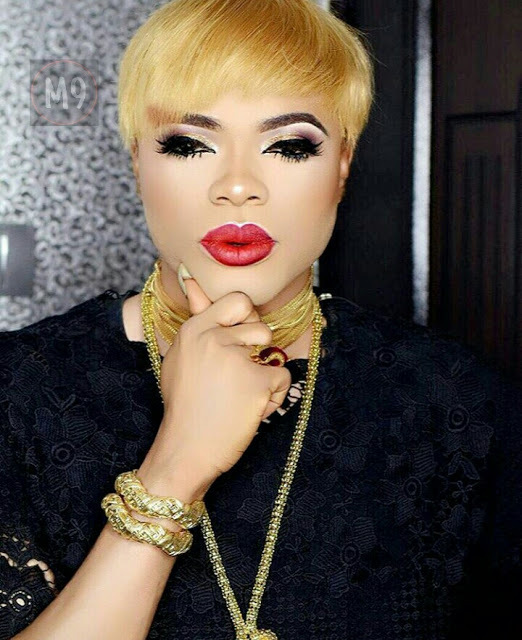 Nigerian male barbie, Bobrisky is to make his Nollywood debut in the movie, which is also starring such acts like Chiwetalu Agu, Dele Odule, Femi Adebayo, Rachel Okonkwo, Sambasa Nzeribe, Chioma Akpotha, Omowunmi Dada, Chigurl and Ronke Oshodi-Oke among a host of others. “Everything about this movie excites me. The creation of this movie came from a place of gratitude and appreciation to God and my fans. This movie is not just an extremely hilarious and entertaining movie; it also cuts across all spheres of our lives and realities. It deals with the several emotions that can be felt by any human, and how we let these emotions define us,” he says. Directed by Charles Uwagbai and co-executively produced with Samuel Olatunji, ‘The Ghost and the Tout’ is the tale of a young and vibrant lady, Isila (Abraham), who grew up in the ghettos. An unforeseen event sends her world into a series of drama involving a murder case and a mystery from a forbidden spiritual event. Left with no choice, Isila journeys on a mission to unravel the truth to get her life back on track, and exorcise herself of her demons.